Besides obesity, other risk factors for developing type 2 diabetes include a family history of the disease, lack of exercise, low energy, poor food choices and excessive time spent on passive activities like playing video games. 2. Have your child tested. If type 2 diabetes is suspected, your child’s doctor will recommend a screening test. The main test to diagnose diabetes in children is a simple blood test called the random blood sugar test. Other tests include the glycated hemoglobin (A1C) test, fasting blood sugar test and oral glucose tolerance test. 3. Work with an expert team, such as the one at Akron Children’s Center for Diabetes and Endocrinology, which includes doctors, nurses and dietitians who work with you to help you manage your child’s diabetes. 4. Step up physical activity. Limit TV viewing and video gaming. 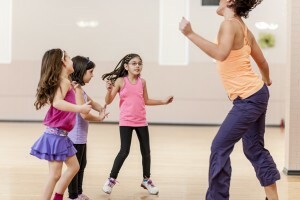 Try to get your child involved in sports, dance or other forms of exercise. A simple walk around the block daily can be a good start for an exercise plan. 5. Provide healthy food choices. Rid your home of foods high in empty carbohydrates and fat. Stock up on fruits, vegetables, whole grains and other healthy options. 6. Assist with weight loss. Have your child’s body mass measured and work toward a healthy weight loss goal. 7. Manage blood sugar. If diet and exercise cannot manage the condition, your child may need oral medication or insulin treatment. 8. Go to follow-up appointments. Since diabetes can cause complications, it’s important to have regular doctor checkups and eye exams. 9. Follow instructions, such as checking blood sugar levels. 10. Provide support. 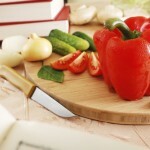 Chances are your entire family could benefit by eating a healthier diet and exercising more. Making these lifestyle changes along with your child will go a long way in supporting everyone’s health.